Mixmax is the perfect addition to your gmail and google inbox. With this productivity suite, you can track clicks, opens, and downloads, as well as use pre-made email templates and embed polls and surveys. Mixmax takes your business email communication to a whole new level. If you’ve used Mixmax before, we’d love to hear your comments below! Tara Abrahams is the executive director of The Girl Project at Glamour magazine. 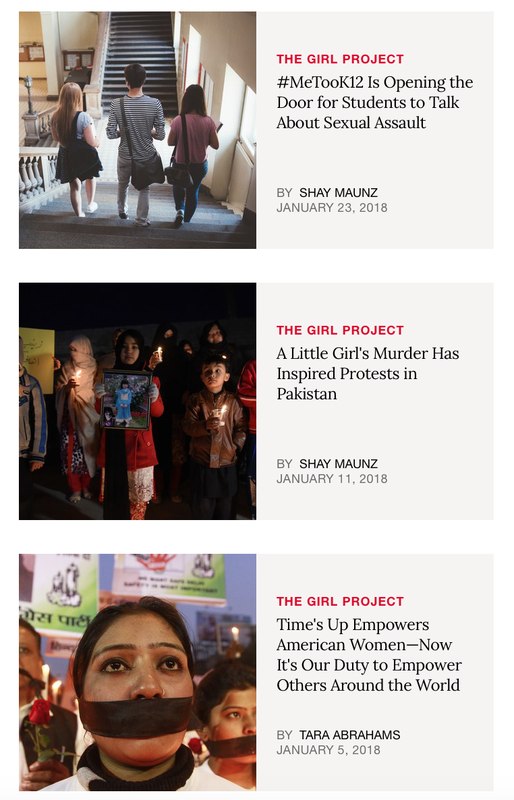 The Girl Project was created to support girls secondary education. Tara has served as the president of The Girl Rising campaign, along with previously working with Girls Who Code and the International Center for Research on Women, along with so many more organizations. Tara also graduated with honors from Harvard and completed her MBA at Harvard business school, where she received the Horace W. Goldsmith Fellowship for outstanding contributions to the non-profit sector. Denise has helped thousands of women change their mind about money, let her help you with one of her free courses, or sign up for a workshop! For now, take her “Do You Know Your Unique "‘Money DNA’?” quiz! Cora is an awesome company for feminine hygiene products, and an added bonus: for every box of tampons you get delivered directly to your door, they give products to girls who wouldn't otherwise have access to them. This prevents monthly interruptions from school and work. It’s such an easy way to give back this holiday season! And the company also has a killer blog. We’re absolutely loving this gift guide for the holidays!